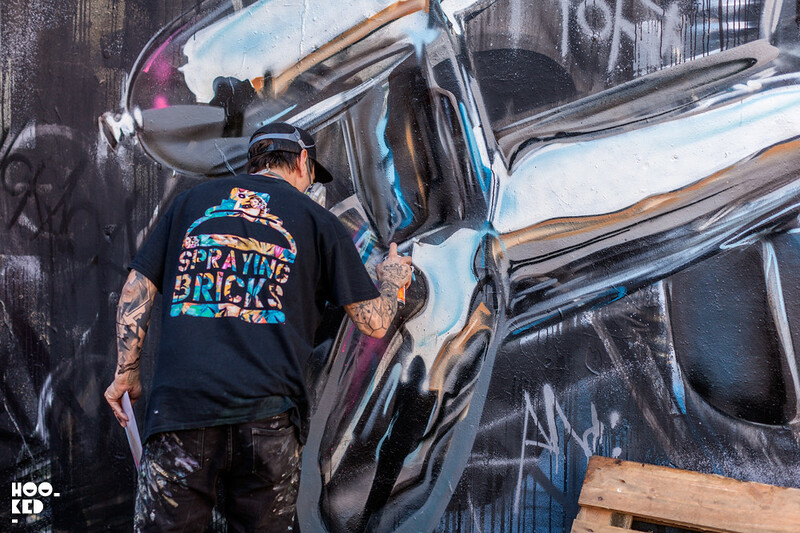 Following on from his large scale mural Distraction, Destruction and Power Tools (Previously on Hookedblog) painted back in Novemeber 2016 on the iconic Shoreditch Village Underground wall, London based street artist Fanakapan revisits the East End for something new. Returning once again to the Star Yard car park Fanakapan set to work on one of his signature 3D chrome ballon pieces painting over his own 'X' mural at this location which has been up for a number of months now. 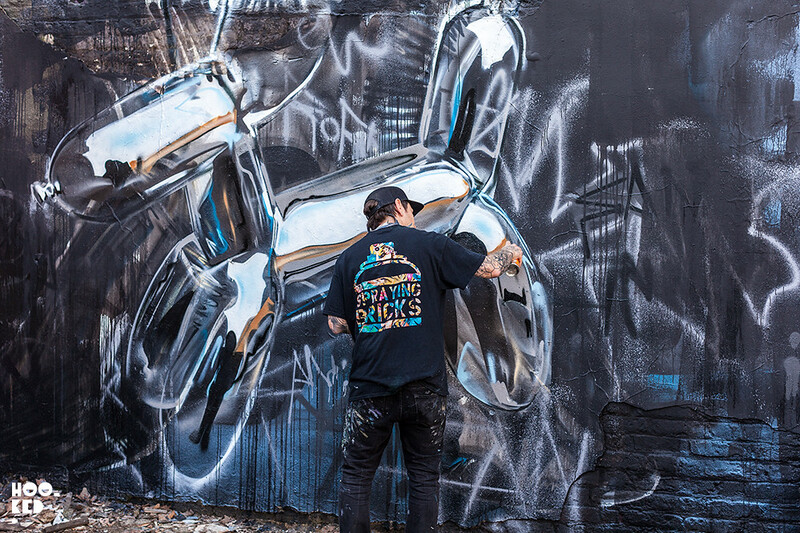 For his new piece the artist has painted a 3D chrome like ballon dog based on a miniature sculpture which the artist owns. 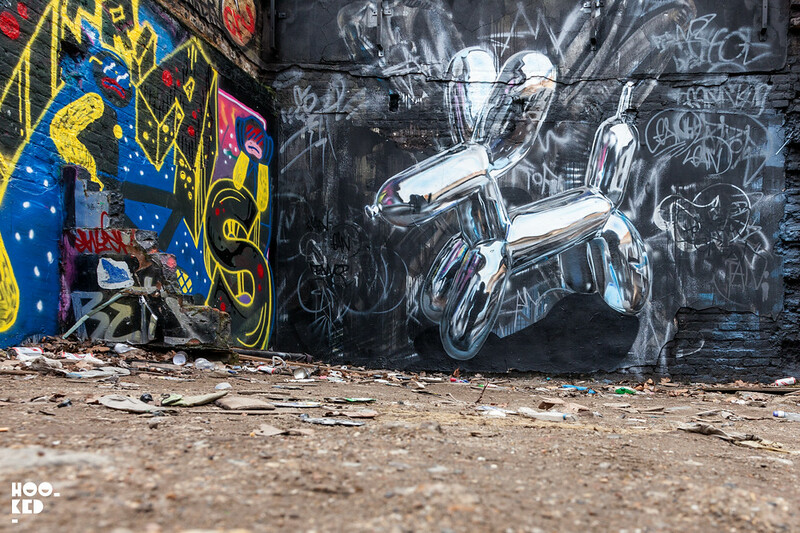 To ensure the reflections of his mural were accurate for it's Star Yard location, Fanakapan placed the miniature dog sculpture in front of the Star Yard wall and photographed it in situ in advance. 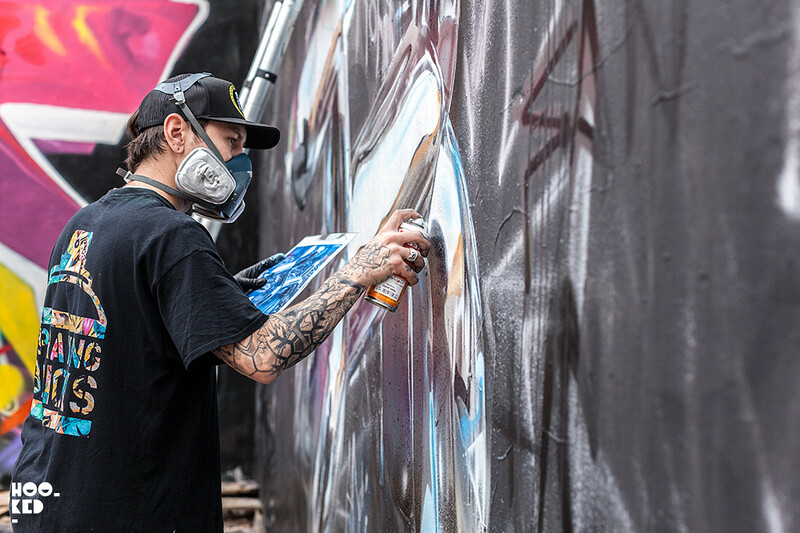 Once photographed scaled up and printed out, Fanakapan was able to use this reference for his mural which has been completed entirely with spray paint. It is this level of detail that gives Fanakapan chrome mural work the edge, the attention to detail that will go unnoticed to most who see the work both online and in person. 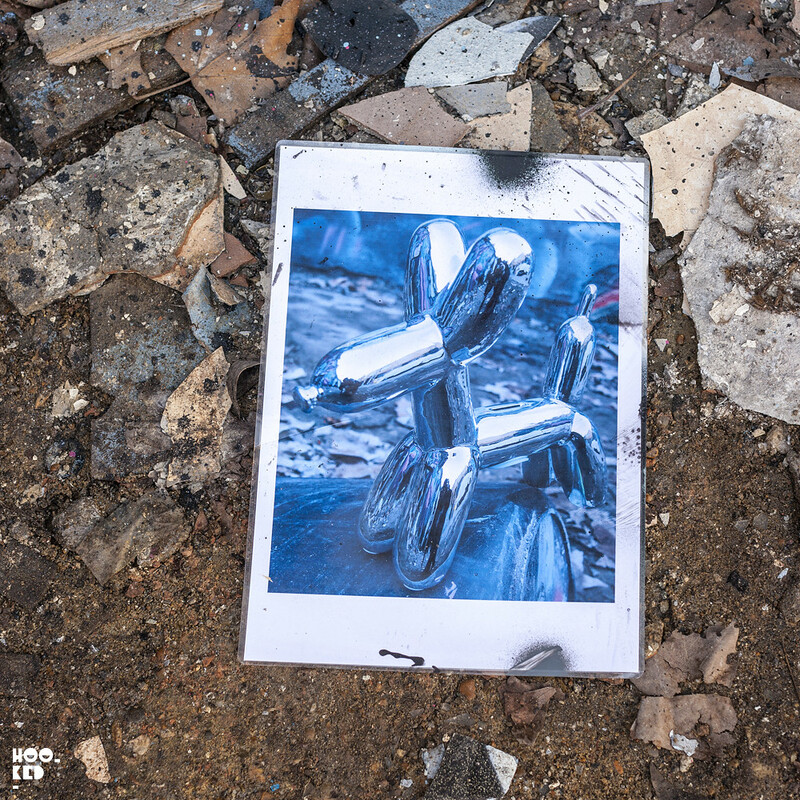 A photo of Fanakapan's reference photo for the mural, as we mentioned already this is a photo of a small chrome dog sculpture the artist photographed in advance in front of the wall he painted to ensure the chrome reflections were accurate and reflected the Star Yard Car Park behind the walls. Impressive chrome reflections in the work from Fanakapan. 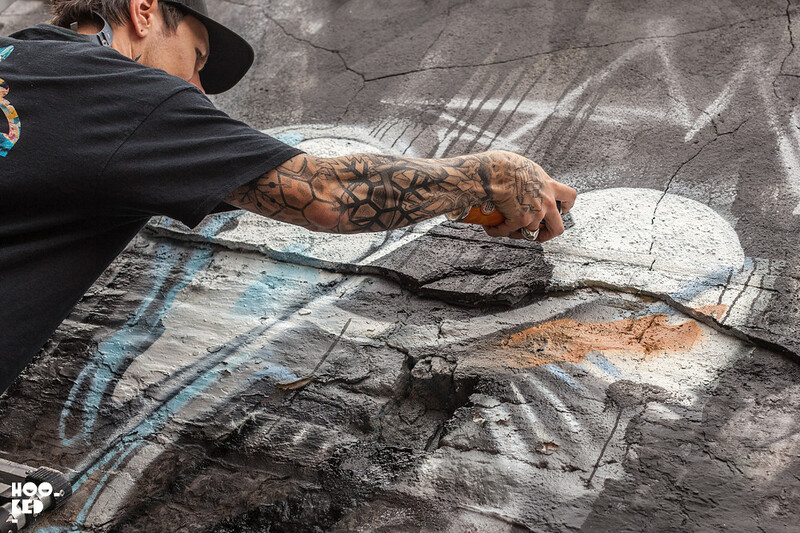 Follow our Hookedblog Pinterest Boards for even more Street Art. Taking a break with fellow artist Seeds One who was also painting a piece in the Star Yard car park on the next wall over. 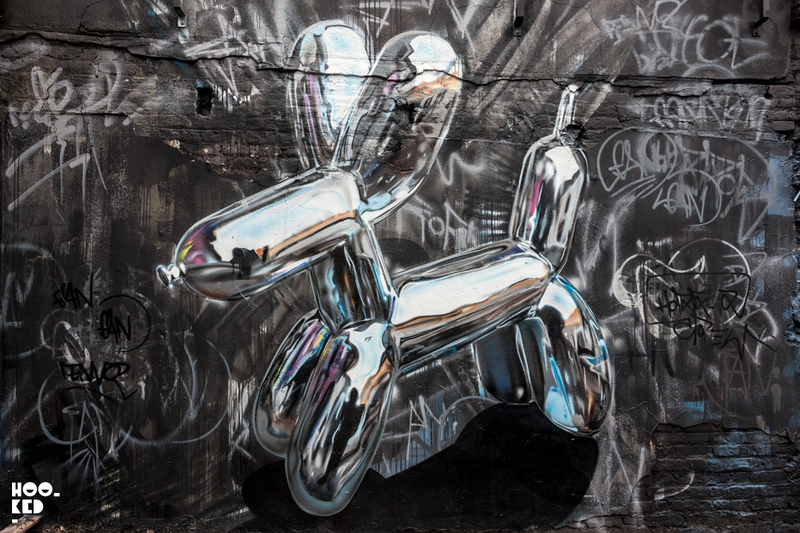 The completed 3D Chrome Ballon Dog mural from Fanakapan, finished in one day. Should you find yourself in East London checking out the neighbourhood street art be sure to visit this mural in person and catch some of the impressive detail in this work. 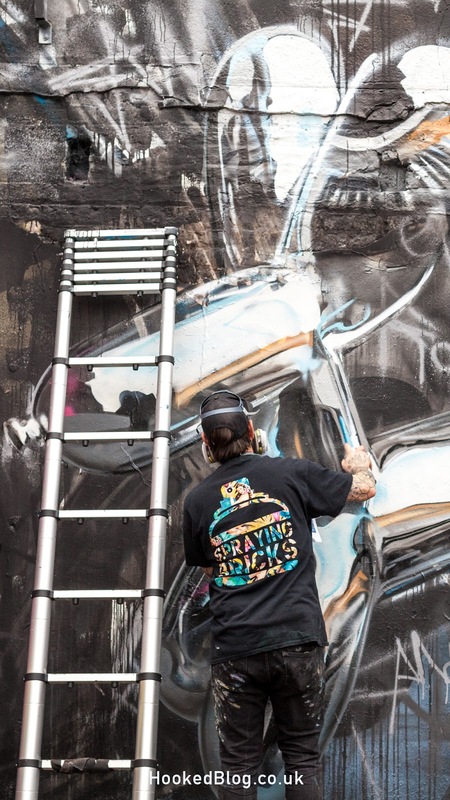 The work which the artist has referred to as 'Dogging myself out in the yard' is located in the Star Yard Car Park, just off Brick Lane in between Fournier and Fashion Street.